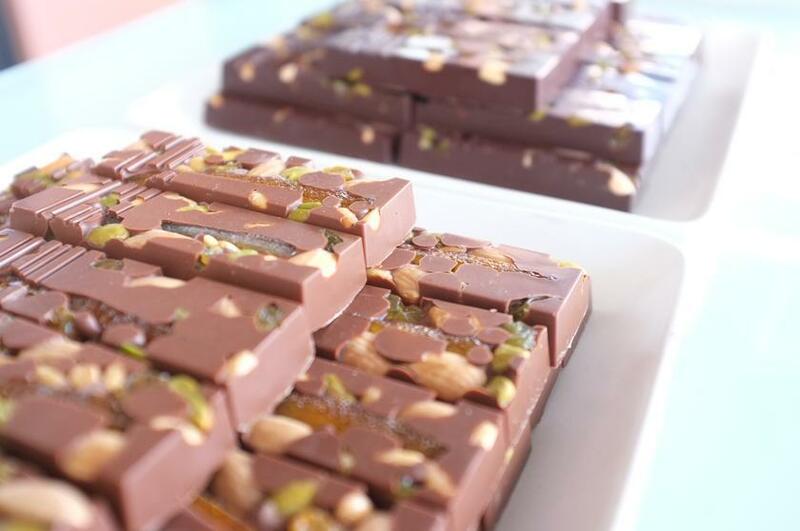 San Francisco is home to some of the best chocolatiers in the country. Ghirardelli is just one of the ones that everyone around the world knows and loves. If you’re visiting the City by the Bay and have a sweet tooth, you’re in luck! 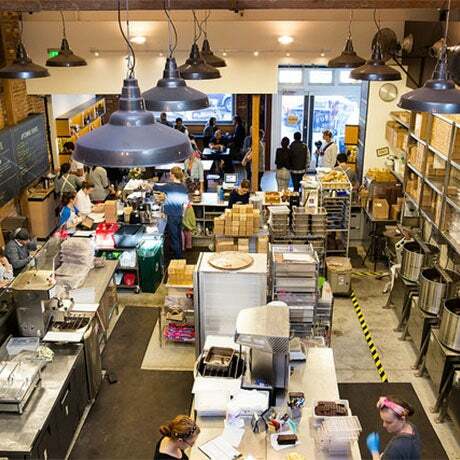 After you’ve stopped by Ghirardelli square to check out the best of the best, make time to visit these five local chocolatiers that you’ll only be able to visit when you’re in town. 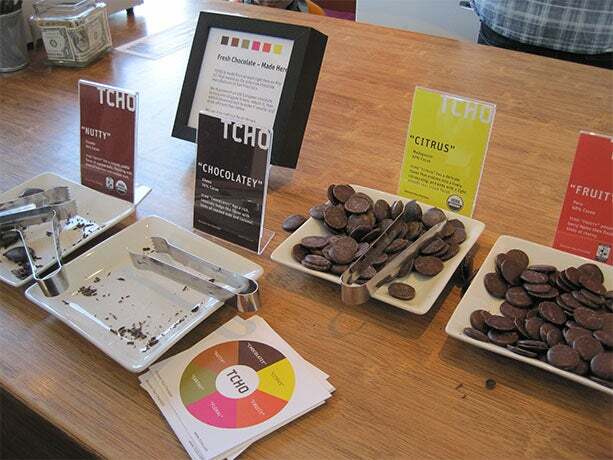 Technically, Tcho, named after the sound of the first syllable in chocolate, is no longer based in San Francisco, but right next door in Berkeley. However, since it started right in the heart of the city, and because it’s such a quintessential San Francisco brand, we’re going to include it. Tcho was started in 2005 by Timothy Childs, technology and chocolate entrepreneur who was determined to make the best chocolate in the world. Tcho chocolate makers only work with the best raw materials possible and strive to tease out the inherent flavors found in different cocoa beans. Visit the Tcho Factory to sample the results and decide for yourself if you prefer fruity, nutty, citrusy or other flavor profiles in your chocolates. To visit the Tcho factory, you need to make an appointment. Because this is Silicon Valley, long time friends and business partners Todd Masonis and Cameron Ring sold their tech start-up to Comcast in 2008 and then decided to turn their lifelong passion for chocolate into a chocolate bar factory. Dandelion sources high quality beans that they then crack open and process in tiny batches designed to bring out the flavors and nuances of each bean. The goal is to create quality chocolate that locals can enjoy right in their backyard. 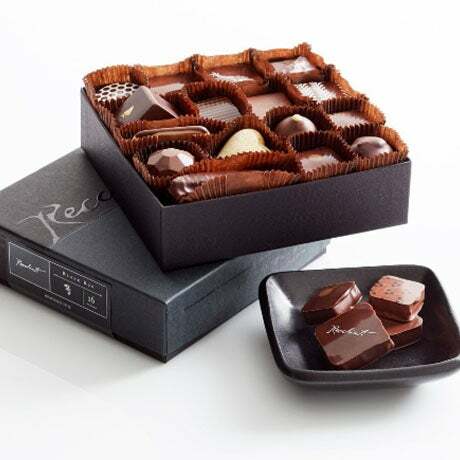 This is the kind of chocolate that you savor, slowly, square by square letting your mouth explore each subtle chocolatey note. Stop by the factory store to see the chocolate making process in action while you enjoy some hot chocolate and other chocolatey treats. Chef Jean-Marc Gore and his wife Casimira N. Tobilla brainstormed ways they could work together that would allow him to work with food and allow her to flex her sales muscles. Chocolate truffles seemed like the ideal solution. At first, they only sold truffles wholesale to catering companies and private clubs, then they expanded to private home parties modeled on multi-level marketing style of events. It soon became apparent that they were in need of a store where die hard fans could purchase Chef Gore’s 27 different varieties of truffles directly. Receive a free truffle when you stop in for a cup of hot coffee or mocha. Flavors range from Earl Grey to hazelnut and from mango to green tea. Charles Chocolates has a real Silicon Valley story. It was a thriving business until something went south with an investor and they were forced to close down. The founder, Chuck Siegel, turned to Kickstarter to raise funds to reopen and now the chocolate shop that specializes in small batch chocolates and confections is thriving again. Chuck, self-taught chocolate maker, has perfected his recipes through much trial and error. He holds himself to one critical standard: every chocolate is only as good as its worst ingredient, so only the best is acceptable. Reserve a spot for the afternoon tea service or just pop in for a cup of coffee, a pastry, some of their salty-sweet chocolates or maybe a peanut butterfly.